Lockheed Martin aims to knock 14 per cent off the cost of Britain's F-35B fighter jets over the next couple of years, the firm's director of business development told The Register. At a press event in London last week, Steve Over told us: "We're currently negotiating [production] lots 12, 13 and 14 to get costs down. Lot 10 [the batch currently being delivered] each aircraft is about $122m, which I think is about £90m at current rates. This is not the low point." F-35s are ordered by a US government agency, the F-35 Joint Project Office, which formally places the orders with the company on behalf of both the American armed forces and foreign customers including the UK. While production lots 12-14 have already been awarded to Lockheed Martin, officials are still haggling over the price of each supersonic stealth fighter. The F-35B will be the only fighter jet capable of flying from Britain's Queen Elizabeth-class aircraft carriers. What makes the jet so expensive (by comparison, a Eurofighter Typhoon, as flown by the RAF, comes in at around £57m/$80m) is what Over described as "sensor fusion", which consists of using the jet's Multifunction Advanced Data Link (MADL) to network its sensors together. This is a new, and separate, system from the NATO-standard Link 16 communications gear used by what Lockheed brands "fourth-generation" fighter jets. Naturally, Lockheed having dreamed up the term, theirs is the world's only "fifth-generation" jet, though it also carries Link 16 comms gear for talking to Stone Age military aviators. "The increasing volume of orders helps drive costs out of the system," Over said. Also at the press event were some of the handful of British companies building actual chunks of the F-35 itself. 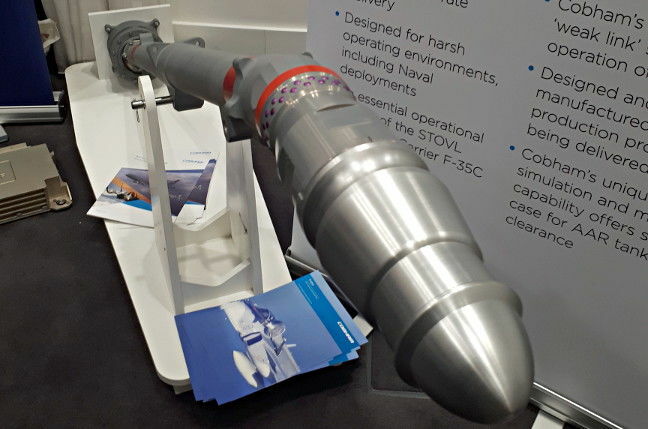 These included Cobham, which makes the critical ball joint used in the F-35B's air-to-air refuelling probe. As the firm explained to El Reg, anyone can make a pipe and bolt it to an aircraft – but their unique weak link is designed to shear and cut off fuel flow only "under very specific loads", such as a pilot in an emergency needing to pull away from the tanker ASAP. Along with Cobham was Bagshot-based Sterling Dynamics, which has to date supplied 300 sets of controls for cockpit simulators being bought by F-35 customers. These firms were joined by EU missile company MBDA, which has various outposts spread around Britain (only British F-35s will carry MBDA missiles, we were told), plus, inevitably, UK-based offshoots of American companies. 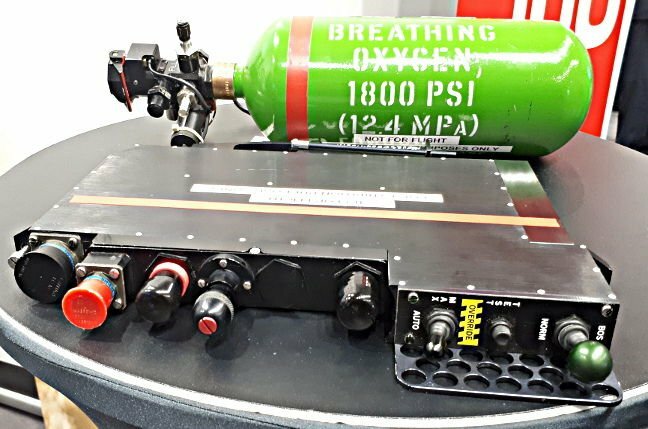 Honeywell UK integrates some of the Onboard Oxygen Generation Systems components, though these, company reps told us, are actually manufactured in France – and, they added in response to our questions, these are not the same units causing airflow problems for some US pilots; an assertion that does not appear to be the case.